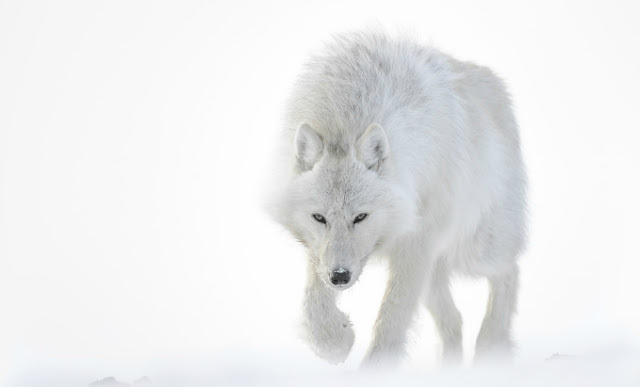 French wildlife photographer Vincent Munier has released a video promoting his new book, Arctique. This video is full of amazing imagery from Munier's work in the Arctic and was recently picked up by National Geographic for their Short Film Showcase, which selects videos to share from filmmakers all over the world. In Munier's video below, we see him trekking through the frozen wilderness, dragging sleds of his gear behind him. He puts a lot of hard work into capturing his distinct imagery. His Nikon gear has to put up with a lot of cold weather, wind, and snow as well. 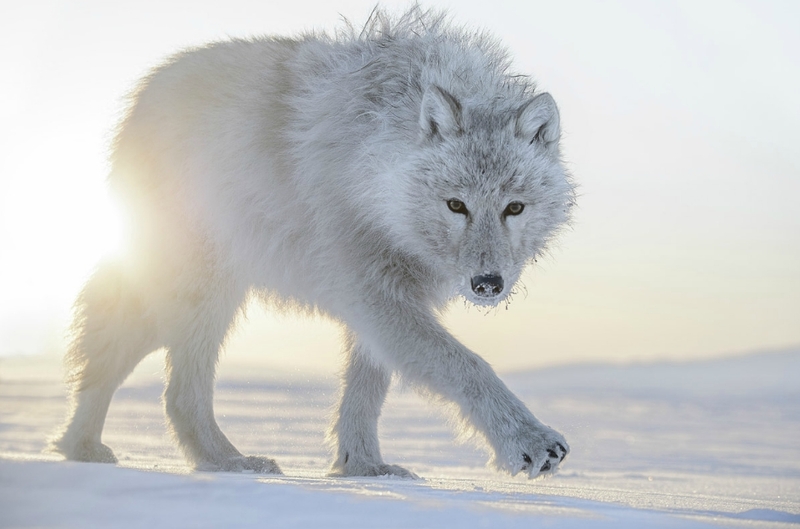 During his trip, he was able to capture amazing images of the elusive Arctic wolf, among other animals such as foxes, oxen, hares, birds, and a polar bear. His images don't simply capture the animals, but also their home and the difficult conditions in which they live. Make sure to watch the video (filmed by Munier himself, Yanick Gentil, and Laurent Joffrion) in HD to get a better appreciation for Munier's work. Responses to "Arctique: Photographer captures beautiful imagery of Arctic wildlife"
Great photography of a beautiful animal.